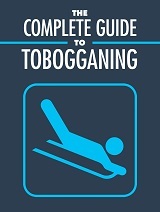 Have you ever tried tobogganing? Well if you haven’t you definitely should. Tobogganing can be a great way of turning a dull winter in to a fun time. The thrill that you can great from flying down a hill on a toboggan can be unmatchable at times. Anyone can enjoy tobogganing, even beginners. You even see young children who do toboggan runs, and they are quite good at it to. There are some truly amazing places around the world that offer some of the best toboggan runs around. You can find runs for all skill levels from beginner to intermediate. If you like to do exciting things and love to do things that get your adrenaline flowing, tobogganing will be perfect for you. In order for you to have the best experience possible while tobogganing it is important that you know the basics of tobogganing and understand a few basic principles.